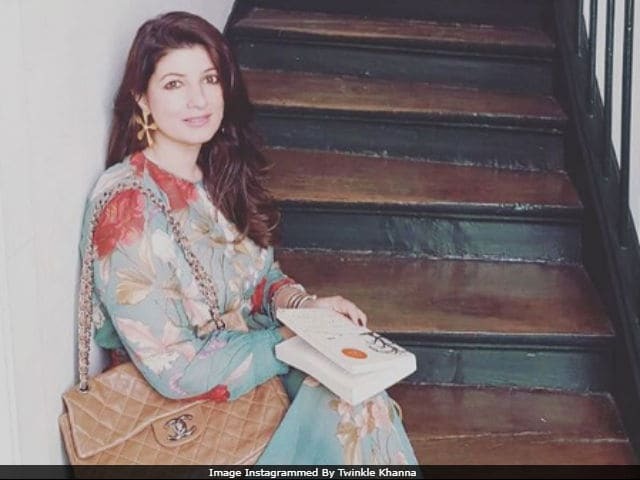 Twinkle Khanna is defiant after a picture she tweeted over the weekend offended some sensibilities. The 42-year-old author posted the same picture again today with this message: "I found the timing ironical with ToiletEPK's release and the OD free certification- If you see the sardonicism in it - fine! If not-so be it." The photo that earned Twinkle a string of reprimands showed an unidentified man squatting to do his business on a Mumbai beach. "I guess here is the first scene of Toilet Ek Prem Katha 2," Twinkle wrote, referencing her husband Akshay Kumar's newly released film which deals with the issues of sanitation and open defecation. Twinkle Khanna's sharp observations usually evoke a laugh from Twitter. Not this time though. "A public apology should also be made for playing with dignity of men," read an angry comment, one of several that asked Twinkle to take the post down. A case of shooting the messenger, one might say. At any rate, Twinkle Khanna wasn't taking this s*@t, pardon the language and the pun. Check out what she previously wrote. Some of Twinkle Khanna's critics also accused her of making capital out of the situation in order to promote her husband's film - not that it needs it because Toilet: Ek Prem Katha has already made Rs 115.05 crore in less than two weeks. Here are some of the tweets which criticised Twinkle's post. But point is... had this been a woman, would you click pic and upload on social? If dignity of women is important then why not men? However, Twinkle Khanna's's tweet also received instant approval from some. "Let's spread this as message to us that we should build more and more toilets," wrote a user. Twinkle also responded to a comment that said that people had the choice of using public toilets. "Exactly. The public toilet is a 7-8 minute walk from this particular spot," Twinkle wrote back. Twinkle Khanna is the author of two best-selling books - Mrs FunnyBones and The Legend Of Lakshmi Prasad. She and Akshay Kumar have been married for over 15 years now and are parents to son Aarav and daughter Nitara. Akshay is currently filming Padman, a film produced by his wife.